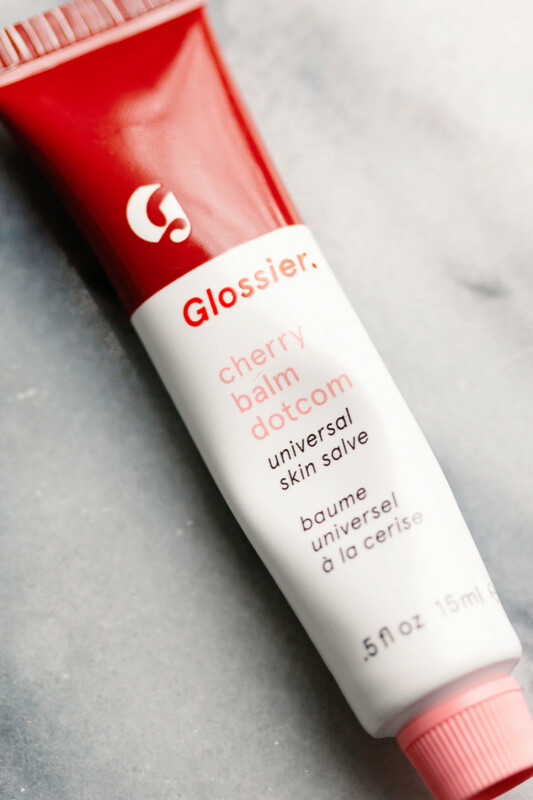 If you&apos;re on Instagram, then you know hardly a day goes by without Glossier Balm Dotcom popping up in your feed. Now available in six flavours, the product has established an enormous cult following. And the fact that it&apos;s REALLY photogenic plays no small part. 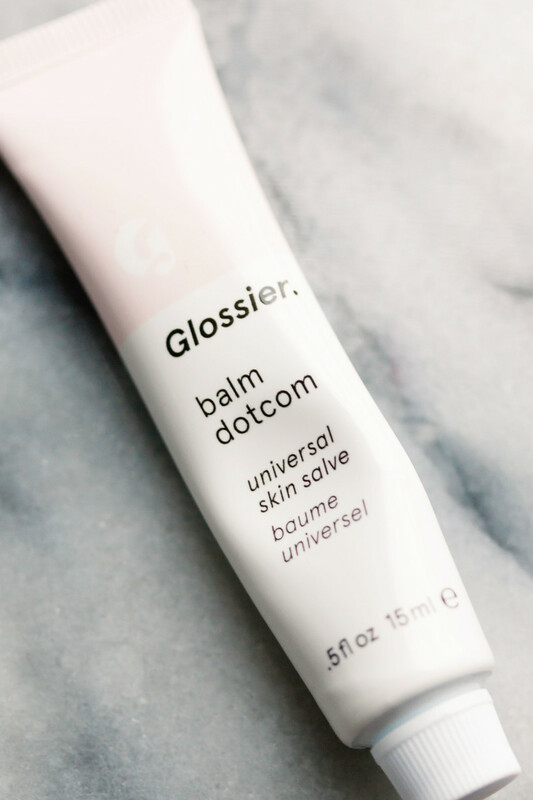 Balm Dotcom is described by Glossier as both a lip balm and a skin salve. Texture-wise, it&apos;s perfect. Thick, but not too thick, and emollient, but not greasy. It glides out of the tube easily (it never gets stuck) and spreads very smoothly across your lips/skin. 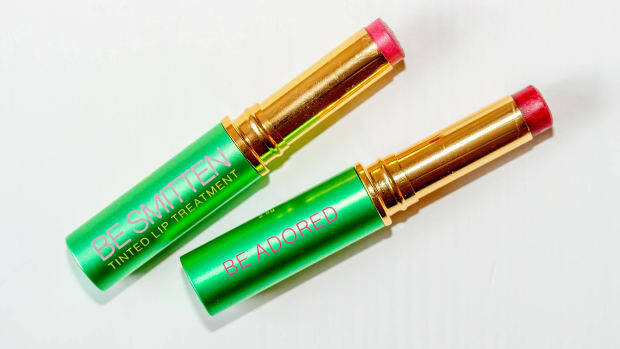 And you know how some lip treatments sort of disappear, so you have to keep re-applying? 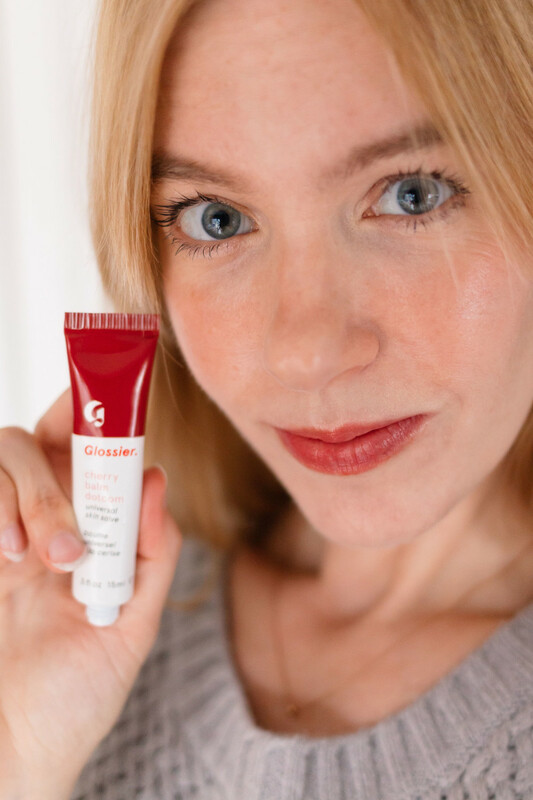 Glossier lip balm doesn&apos;t do that—it leaves a nice, long-lasting protective layer. 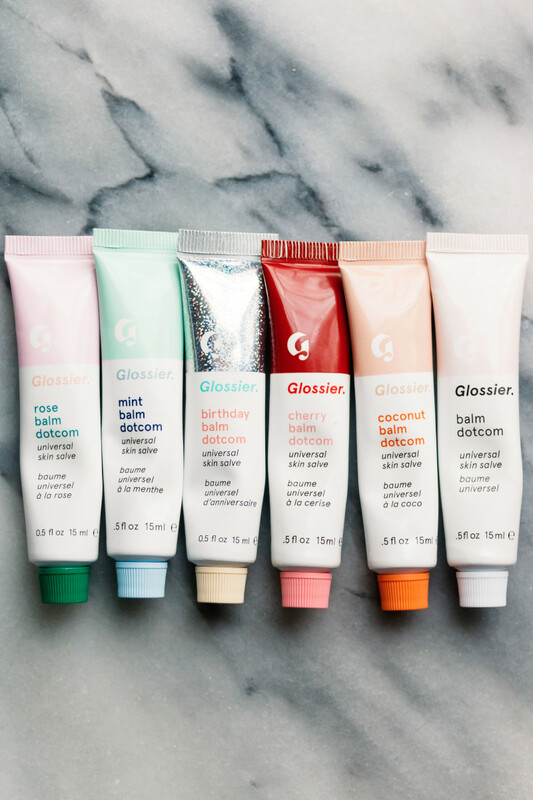 Like all Glossier products, these balms are cruelty-free. 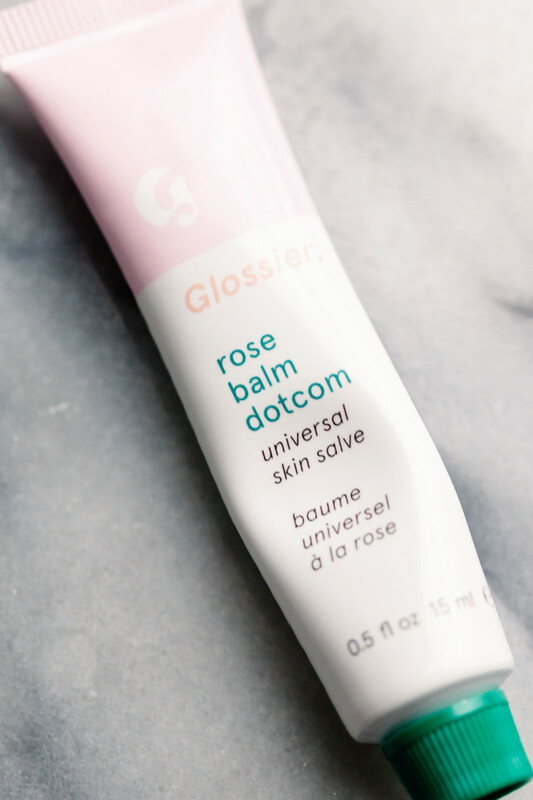 So, what&apos;s in Glossier Balm Dotcom? You may have heard it described as "glorified Vaseline"—which isn&apos;t exactly true! To evaluate a product, I always look at the first five on the ingredient list. These typically comprise the majority of the formula. Petrolatum: Petrolatum, also known as petroleum jelly, is an occlusive ingredient. It doesn&apos;t actually heal chapping, but it can be helpful because it forms a protective barrier to keep moisture locked in. While I prefer natural ingredients, and wouldn&apos;t recommend it all over your face or body, I don&apos;t see too much harm as a lip balm. 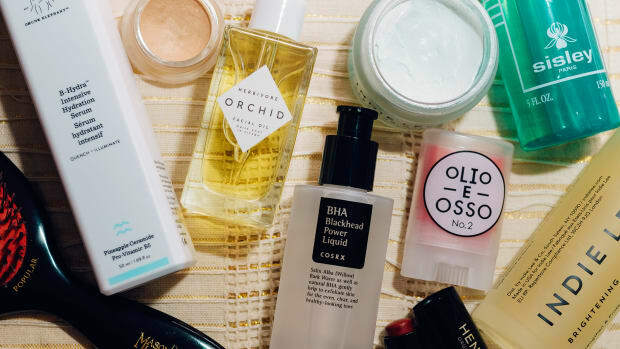 (You&apos;re only using small quantities and don&apos;t have to worry about clogging pores.) Just avoid licking your lips and be sure to wipe it off before you eat, so you don&apos;t ingest it! Castor seed oil: Castor seed oil is a stable (monounsaturated) oil with water-binding properties. It&apos;s also very thick and emollient. However, it can be allergenic for some people. Beeswax: Beeswax has emollient, occlusive and humectant properties—which means it both nourishes and protects the skin. It, too, can be allergenic (often for people who are sensitive to pollen). Lanolin: Lanolin is a natural wax from the wool of sheep. I consider it the MOST effective ingredient for healing chapped lips! 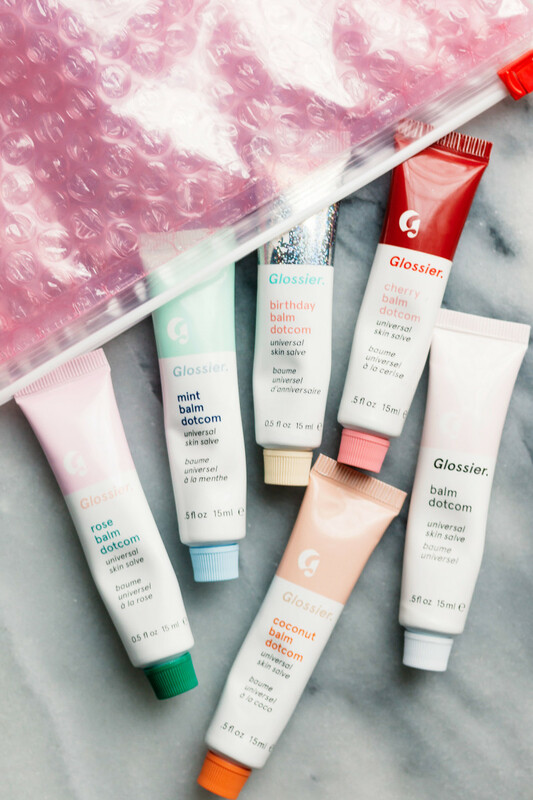 Glossier doesn&apos;t say whether they are using medical-grade (some people are sensitive to the less purified forms of lanolin). Dipalmithoyl hydroxyproline: Dipalmithoyl hydroxyproline is a plant-derived amino acid derivative with skin-conditioning benefits. Cocoa butter: Cocoa butter is a stable fat extracted from the cocoa bean. It&apos;s both hydrating and protective. So, I only swatched four of them for you.... That&apos;s because three of the flavours, Original, Mint and Coconut, are completely clear. But all of them leave your lips with a slight sheen. Here&apos;s a closer look at each flavour. Original Balm Dotcom is your basic clear balm with zero fragrance. If you want the most multipurpose balm—for lips, skin, hair, etc.—this is the one to get. I particularly like it on my cuticles. 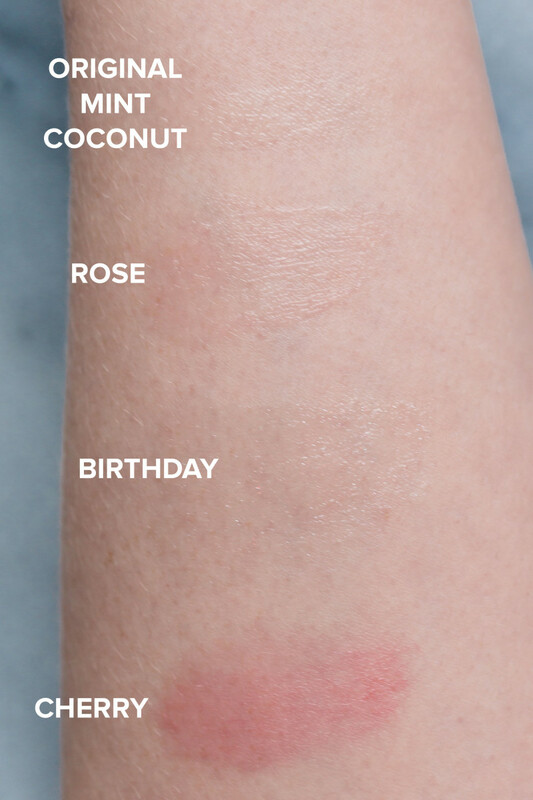 Rose Balm Dotcom has a barely-there pink tint—and I really do mean BARELY there. You can just see in in my swatch, but on the lips, it&apos;s not visible. (At least not on mine.) 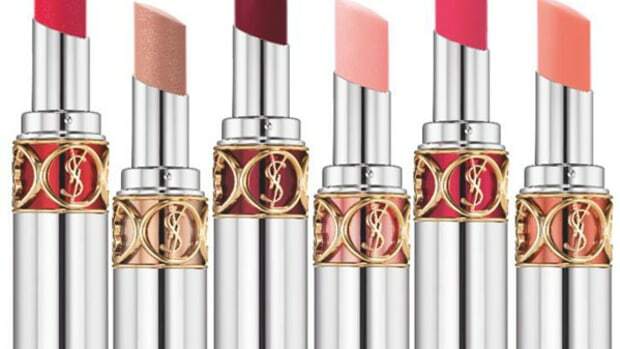 The rose scent brings to mind the cult luxury lip balm, By Terry Baume de Rose. This is certainly much cheaper! 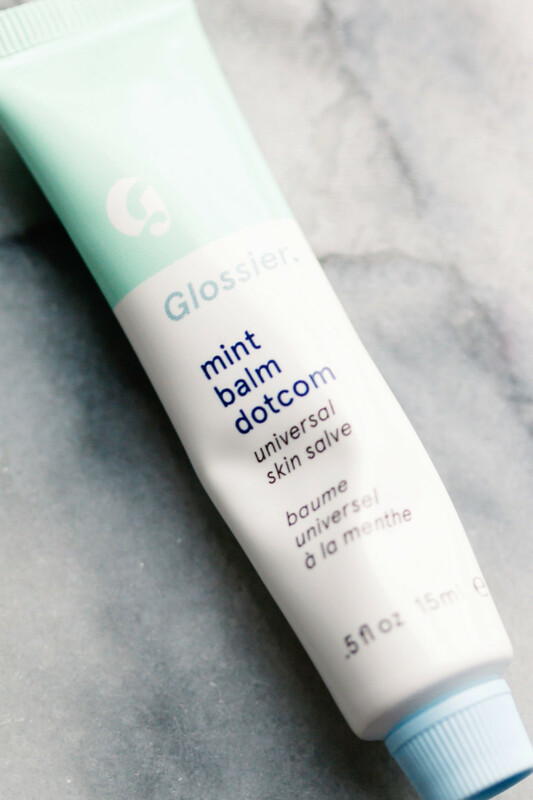 Mint Balm Dotcom is clear, but with a minty flavour. Like, SUPER minty—it&apos;s so strong that it really wakes you up! If you&apos;re a mint addict, you&apos;ll probably love it. I&apos;d be particularly careful with this one due to the strong menthol (which can be irritating). Coconut Balm Dotcom is also clear, but smells like a tropical vacation (think: suntan lotion and coconutty drinks). 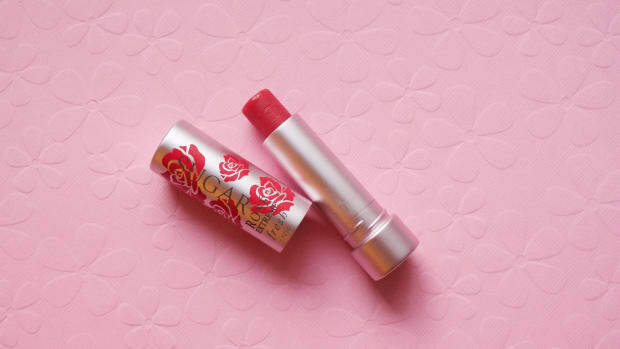 Cherry Balm Dotcom is the only one with noticeable colour, a sheer cherry tint. Hence, it&apos;s my favourite! The only downside is that it fades after a couple hours, even though the balm stays put. This one has a cherry flavour as well. 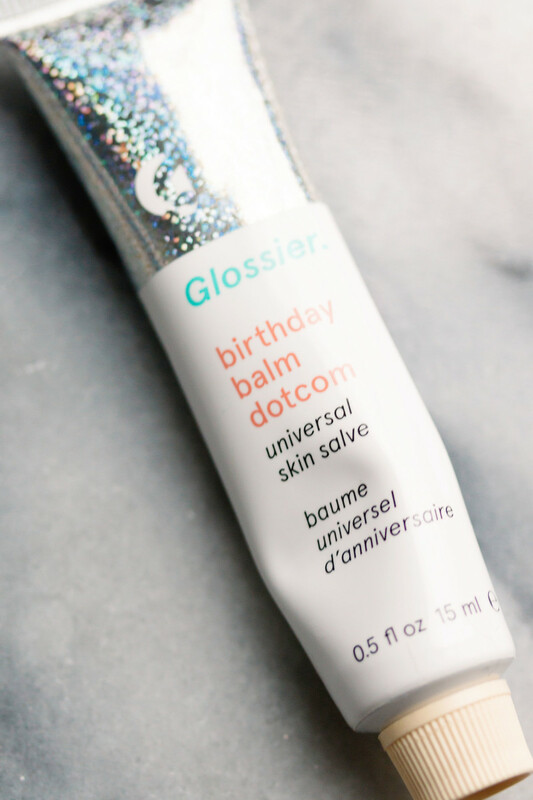 Birthday Balm Dotcom was created in collaboration with Momufuku&apos;s Milk Bar, with a flavour inspired by their famous Milk Cake. This one is clear, but with some subtle shimmer. It&apos;s not too densely packed, so the effect is just when it catches the light. 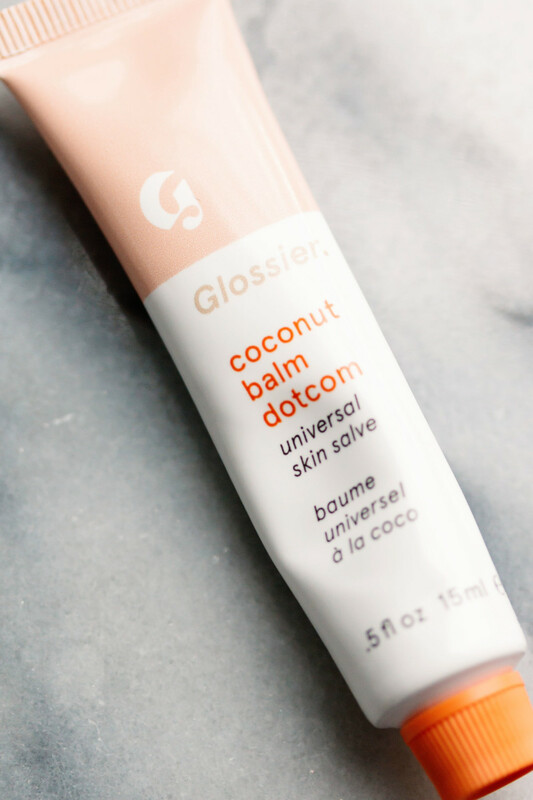 So, what&apos;s my verdict on Glossier Balm Dotcom? I&apos;ve been testing these flavours for a few weeks now, and I like them more than I thought I would! Especially Cherry, which I&apos;m wearing in this photo (along with Beam Cloud Paint, Light Stretch Concealer, Blond Boy Brow, Moonstone Haloscope, Moon Lidstar and Lash Slick!). I think it took me so long to try Balm Dotcom because I heard the Vaseline comparison, and figured I&apos;d be disappointed. But then I actually checked the ingredients. The fact that they contain good lip-healers like lanolin, castor oil and cocoa butter makes them a much better product than simple petroleum jelly! That said, I would NOT rely on these if you&apos;re struggling with chapped lips. They may not be nourishing enough, and there are some potentially irritating ingredients (in Mint, for example). 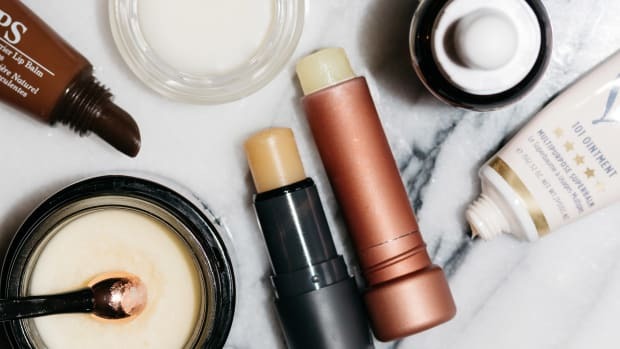 For dry lips, I maintain that you need one of these single-ingredient lip treatments—especially the lanolin. I ALWAYS use pure lanolin (either Lanolips or Lansinoh) on my lips at night. That&apos;s the reason why my lips have been in great condition with ZERO chapping this winter! And perhaps why I didn&apos;t have any issues with Balm Dotcom, which I&apos;ve been testing in the daytime. Would I buy these again? Probably only the Cherry and Birthday flavours. It&apos;s too bad they don&apos;t have more tints/finishes! The clear ones won&apos;t steer me away from pure lanolin, which I honestly believe is a better lip product. It gives the same ultra-dewy sheen, but is so much more healing! But I will admit, these are VERY photogenic for Instagram! Have you tried Balm Dotcom? 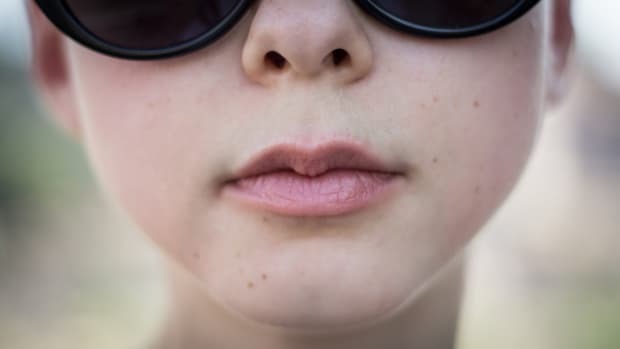 Ironically, many lip products contain allergens and irritants that can make chapped lips even worse.